Thank goodness natural medicine bashing has almost come to an end; I say almost as there are still people out there willing to trash 40 thousand years of empirical evidence and think that modern day medicine has all the answers. The truth actually lies somewhere in the middle. As a natural medicine practitioner with over three decades of clinical experience, witnessing first-hand the wonders of modern medicine and the combination of natural medicine I truly feel blessed to be working with so many wonderful specialists, doctors and clients. There will always be knockers and nay sayers in everything in life and eventually they catch up, just like so many people thought the world was flat and would never agree with the thought the world could possibly be round! Likened to the flat versus round world one point that raises its head often is the belief that confronts a few doctors is the use of toxins in the language of the natural medicine practitioner. Some doctors are confronted by this and often use the argument the body detoxifies itself through various functions of organs, hence the reference to toxic build-up is a natural medicine practitioner’s myth and then denounces all natural medicine therapies and therapists as quacks, snake oil people and on the venom goes. Well folks the answer is again somewhere in the middle. The doctors are in fact correct when they claim the body has set parts of the body to de-toxify hence no de-toxifying is necessary. Yes IF THE ORGANS WERE FUNCTIONING CORRECTLY no-one would ever require any assistance, would they? We would also probably live forever. If the body and all its parts worked perfectly all the time there would be no need to give it a hand, however when the body in the 21st C is exposed to water, food, household chemicals, air, water and food to name a few things that have toxins that our body needs to process giving the body a hand is a good thing; surely! 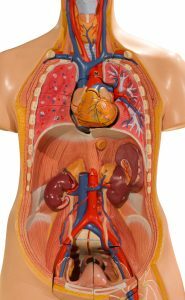 Natures detoxifying machines; liver, kidneys, bowel, lungs and skin, if supported can assist the body to balance, this is called preventive medicine; a foreign term to some doctors, the foundation to what natural medicine practitioners work closely with day to day in clinical practice. Support can be found in very simple remedies that are very effective foods known for thousands of years, yes thousands of years and are not an expensive pill or potion. Wonderful foods such as apple, beetroot, carrot, ginger and parsley to name but a few of the thousands available are very beneficial to the body to assist the organs to process the toxins that enter our body each and every day. With foods as medicine there are no product to push, no new pill or fashionable potion from some exotic part of the earth, simple yet powerful foods as medicine that have been validated in both modern and traditional medicine research. There lies a balance for both fields! Waiting rooms and emergency departments are crowded with people who have not supported their detoxifying organs and have had toxic build-up affecting their body leading to devastating illness. With increases in liver, kidney and bowel disease it is time to lay the swords down and help, rather than attack and hinder any effort to help people. Working together as colleagues and supporting the person who is ill, spending time looking for what both fields have in common rather than attacks, simply because of interpretation of a word, would be time much better spent. Folks we have 86.400 seconds each and every day. Let us use them wisely for the better good of the human race rather than being adversarial. Thank goodness natural medicine bashing has almost come to an end; almost!